Montana Rail Link 3rd Sub. We tour Russ Segner's Sn3 scale Coal Creek Lumber Company this month. The layout is a freelanced 1930s era logging and mining railroad. The narrow gauge CCLC is located in western Washington State. 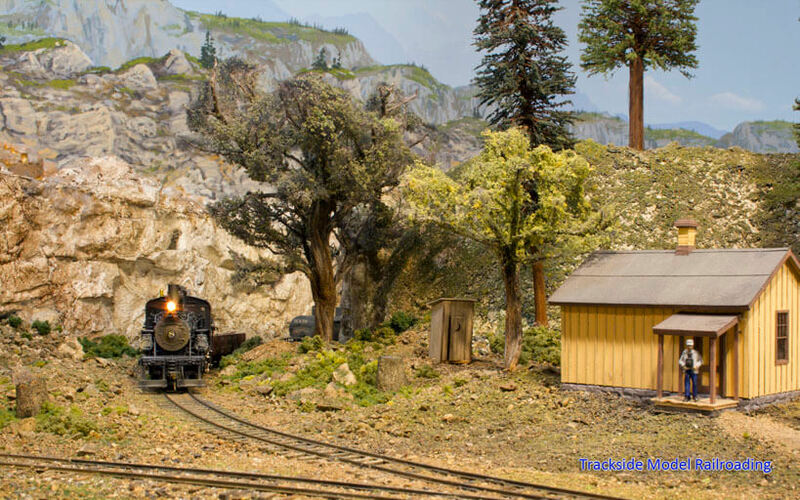 Central to the layout is a sawmill based on the Sanger Lumber Company sawmill of California. The Coal Creek Lumber Company also serves several mines. Russ is an expert modeler and has created an impressive operation on the CCLC. 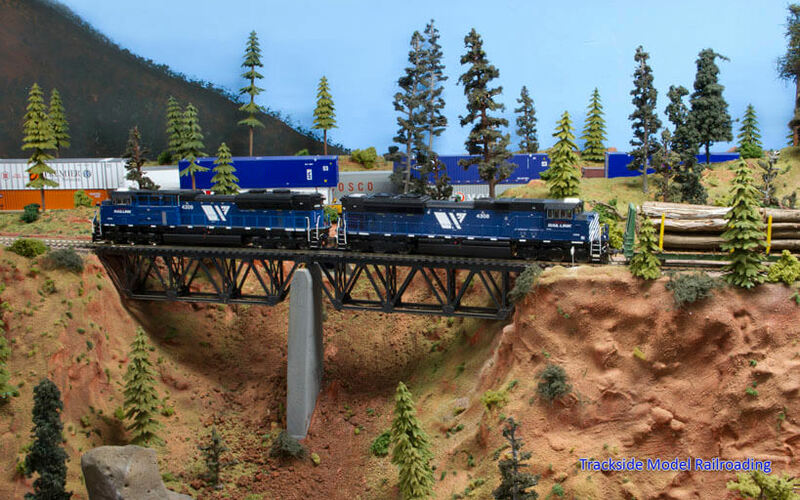 Bill Zickert's 3rd Subdivision models the Montana Rail Link in a freelanced version of Helena, Montana in the present day. The MRL line on Bill's layout is quite busy, bustling with present-day BNSF and MRL trains running in the mountains of Montana. The layout is a good choice for diesel lovers to modern locomotives in action. 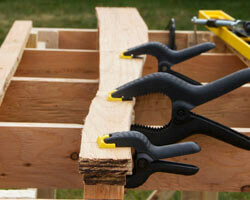 An article, photographs, and video are included about the layout. This month we will add sub-roadbed on the diorama we began in July. 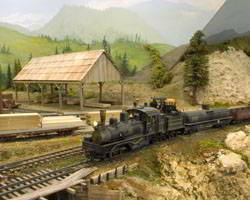 The diorama is a great way for new modelers to learn the steps to build a layout. 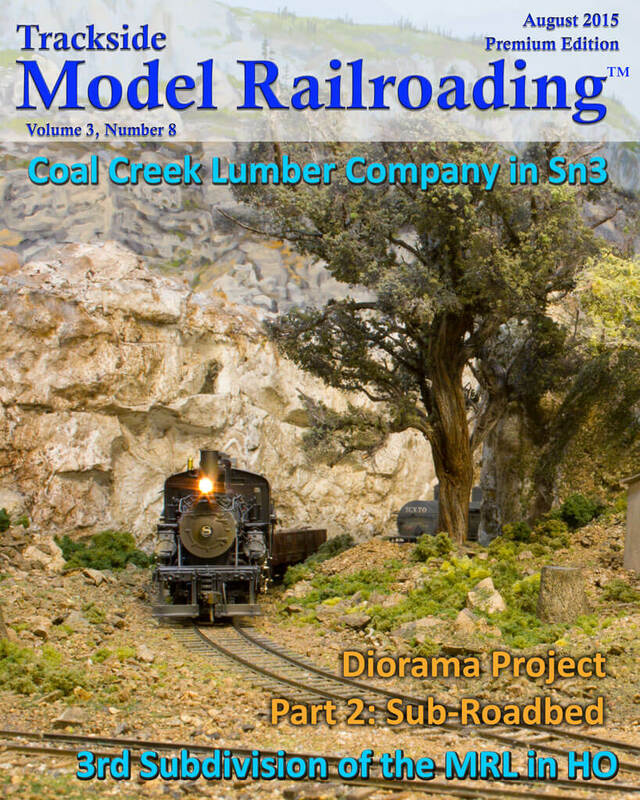 If you would like to build a diorama with us, start with the benchwork in the July 2015 issue and continue with the sub-roadbed this month.